Around 201 investors have received approximately $1.5 million in one of multiple class action claims against a former investment manager and affiliated financial services businesses. ASIC brought the claim against the now-bust Brighton Hall Securities, which recommended Westpoint Group products, in property-related investment scheme that collapsed in late 2005, owing 3,000 to 4,000 investors $388 million. 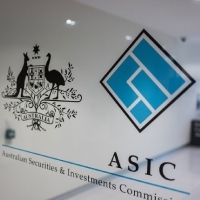 The action was one of 19 civil actions brought by ASIC to recover funds on the behalf of Westpoint investors it said, against associated companies and their officers, the Westpoint auditor and financial services licensees whose advisers recommended the company’s products. The Federal Court in Perth dismissed proceedings brought by ASIC against the firm on 7 March, seeking damages on behalf of a number of clients of Brighton Hall Securities after the liquidator completed the distribution of entitlements. The entitlements rose from claims against the insurance money recovered by the liquidator. The final dividend represented a return of 22.35 cents in the dollar on the involved investors’ claims for $6,652,702. “Most of the money raised for the various property development schemes in the Westpoint group came from the issue of unsecured promissory notes, promising investors returns of up to 12 per cent per annum,” ASIC noted. In all, Westpoint investors received a return of around $160 to $170 million of the $388 million in losses incurred, the watchdog said. The return, it added, consisted of approximately $78.5 million in recoveries from both the liquidation process and Westpoint companies not in liquidation and nearly $93 million compensation from ASIC’s actions. Brighton Hall Securities operated its financial services business from Applecross and South Perth in Western Australia prior to entering into liquidation in September 2007.